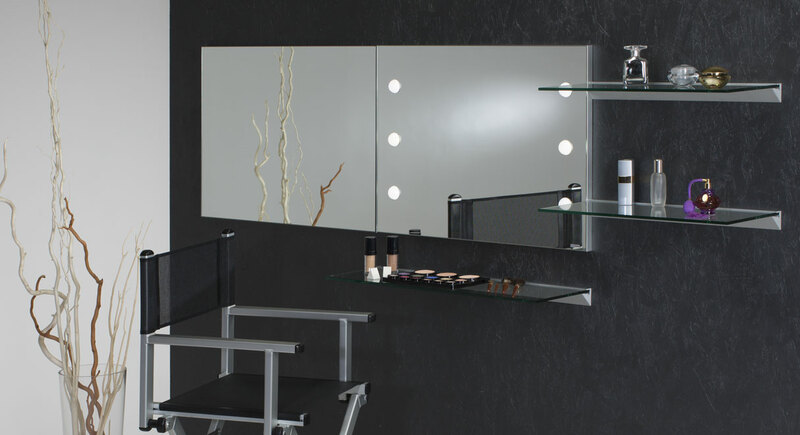 The wall mirrors for furnishing spaces dedicated to professional makeup. 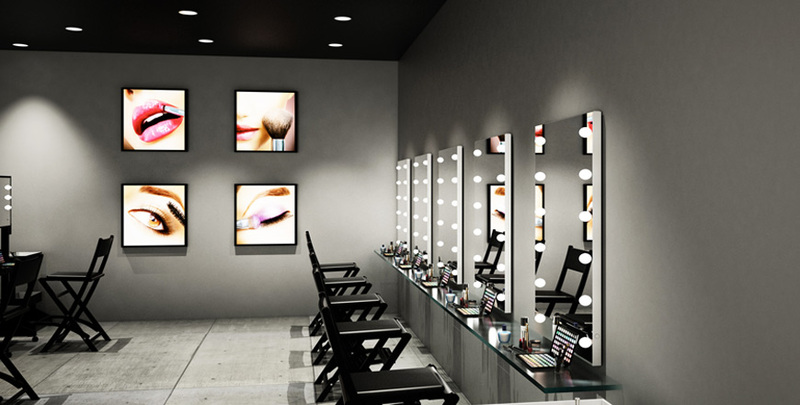 Wall-hung mirrors equipped with lights create a special theatrical atmosphere that distinguishes beauty salons. 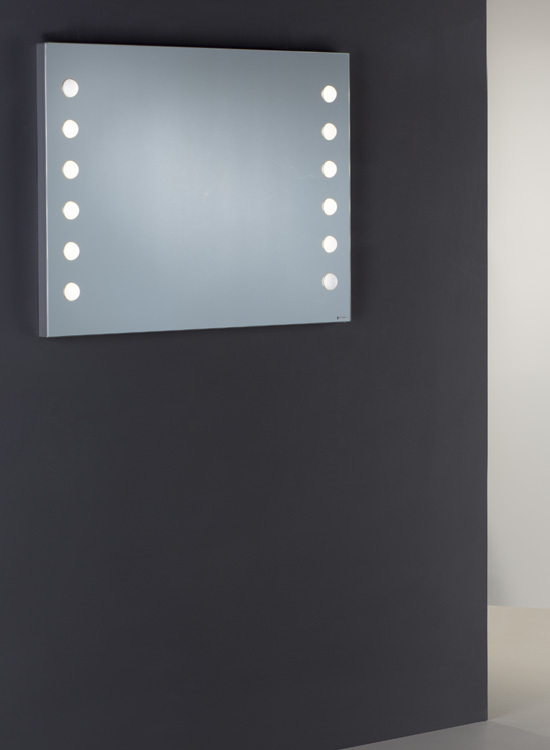 Cantoni has combined the professional quality of the I-light lighting system with large wall mirrors that can easily be combined together and are designed to adapt to any space. The carefully researched distance between the light points, the perfectly neutral colour temperature of 4200 kelvin, the low energy consumption and total absence of heat emission guarantee use of a wonderful, functional and safe makeup station. 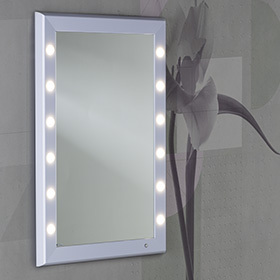 Cantoni illuminated wall mirrors are divided into two ranges: MDE500 and MW. 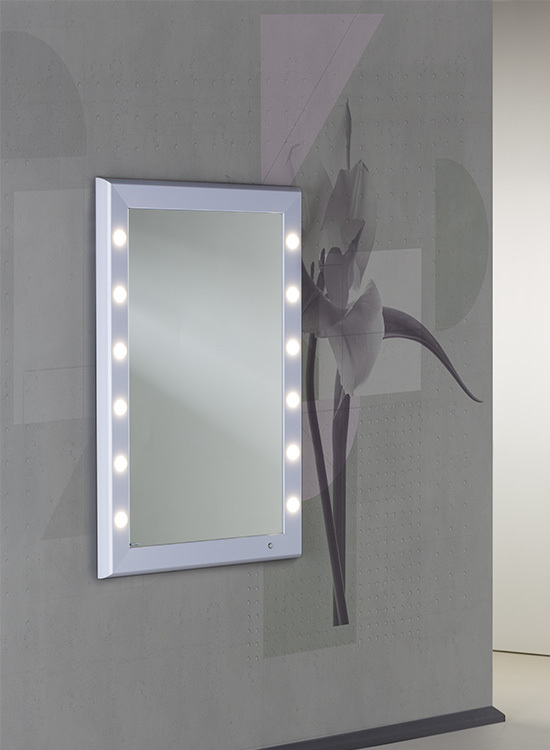 The MDE500 range is composed of wall mirror modules with professional profiles in satin finish aluminium equipped with 6 or 12 professional I-Light luminous lenses set directly in the mirror. A careful mixture of light shades contained inside each lens ensures the make-up is rendered most effectively. 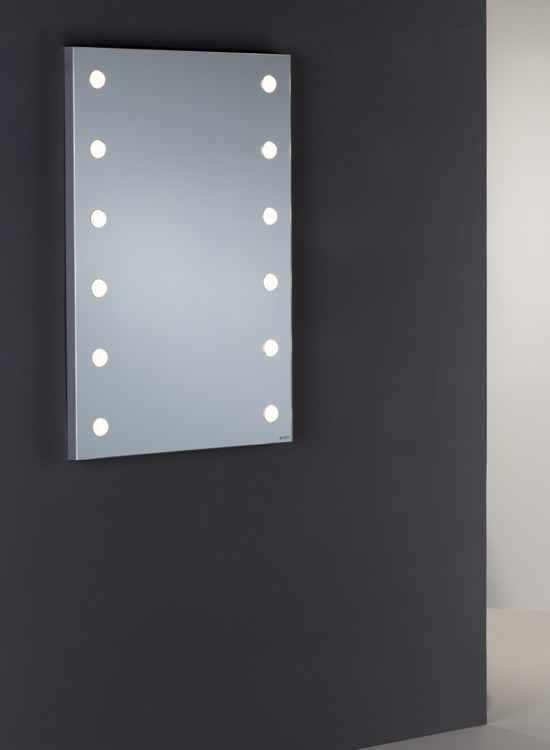 The MW range of wall mirrors is composed of large wall mirrors with 6 or 9 I-lights fitted in a frame; robust and elegant structure in scratch-resistant, glossy black methacrylate or embossed ABS. 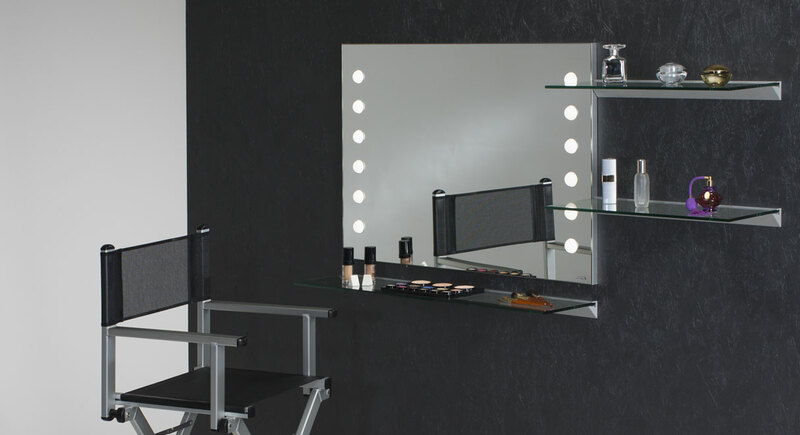 The wall mirror modules of various sizes, that make up the MDE500 range, make it possible to create customised makeup corners. 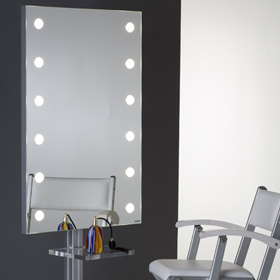 Perfect in commercial spaces, beauty salons and make-up schools. 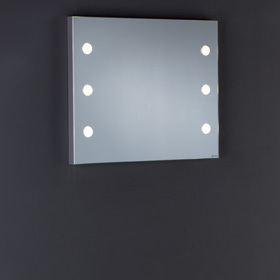 The wall mirrors are simple to install and equipped with a wall-mounting bracket. They are covered by a 24-month warranty and they are certified. The lighting is guaranteed for 100,000 operating hours, even for continuous use, and does not involve the use of bulbs. Mirror of MDE modular line. 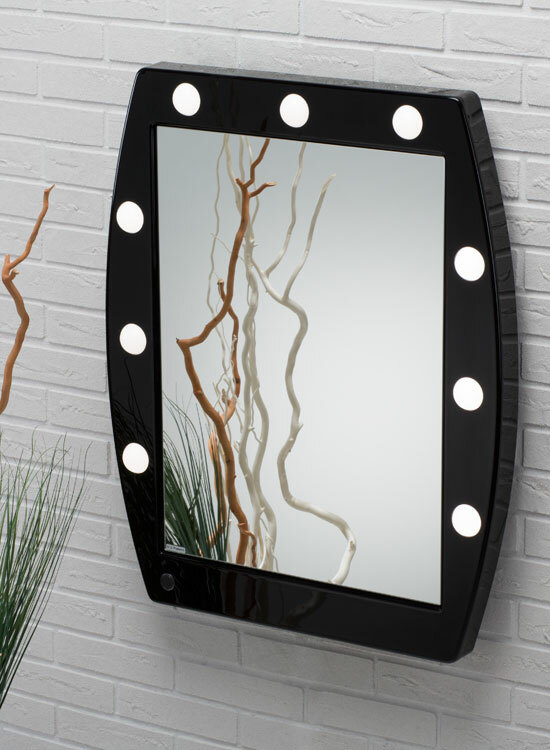 Wall mounted mirror lighted with 6 I-light lenses. 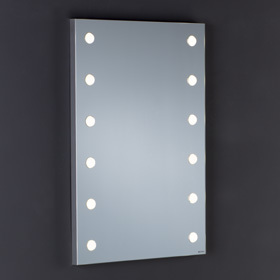 Ready to wall hung, it’s specifically designed for make-up works. 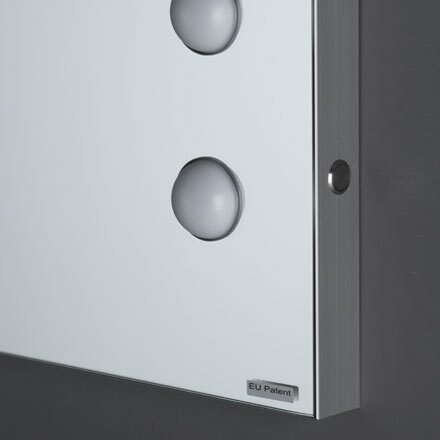 Mirror of the modular line MDE, which allows a personalized setup according to the available space. 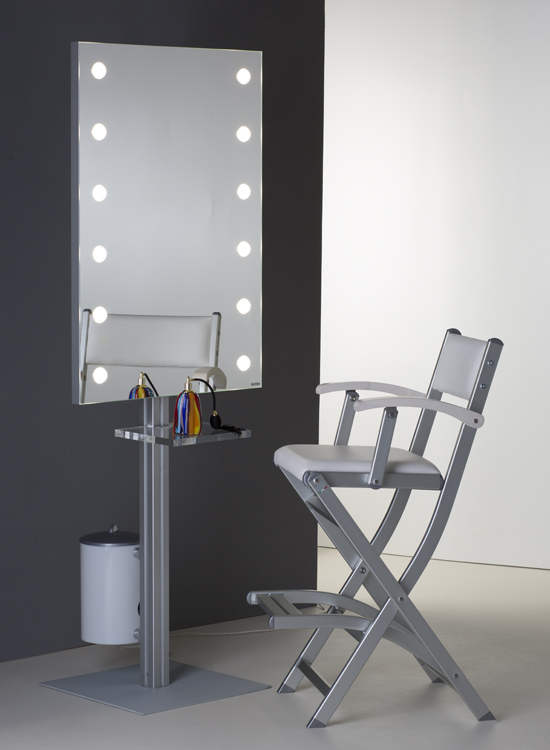 Exclusive I-light system with neutral light (4200°kelvin) for make-up. 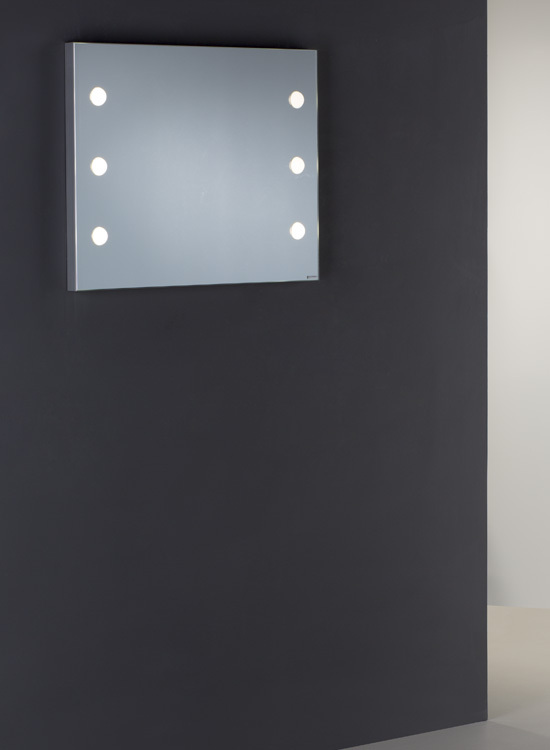 Lightweight framework in anodized aluminium, 12 I-light lighting points inset in the glass. Recommended for makeup academies, salons and perfumeries. Lighted mirror ME505 with support. Stand alone mirror with 12 I-light lenses. Support in aluminium. Easy to set-up. Add-on backlit light boxes and accessories available. 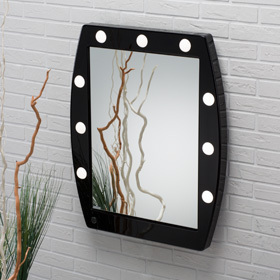 Lighted makeup mirror for professional make-up. 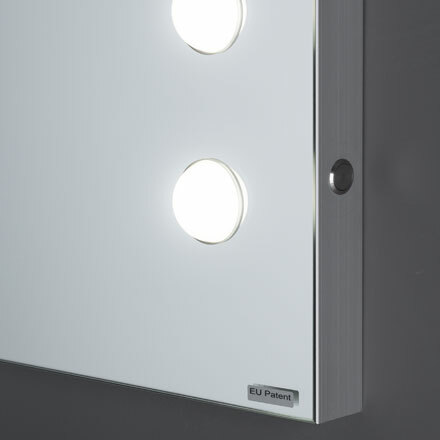 9 I-light adjustable lights set in the methacrylate glossy frame. On-off button on the front. 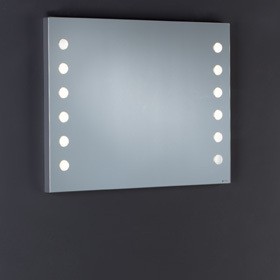 Wide vertical mirror with 12 I-light dimmable lights set in the splayed white glossy frame in aluminium. Waterproof actuator on the front.